Scallop fishing attracts controversy. Dredgers scrape scallops out of the hollows they make for themselves in the seabed, and in the process disturb seaweed and other sea life that lives fixed to the bed. Even among senior marine scientists there is disagreement as to whether it is possible to do this sustainably. Most agree that certain vulnerable habitats such as seagrass and maerl beds should never be dredged, but that in some other areas dredging may be no worse than the disturbance from storms or currents. 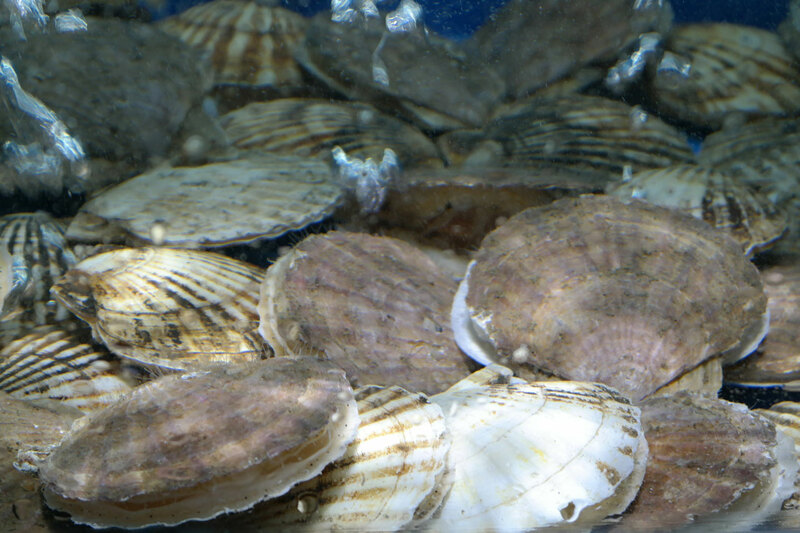 Scallops are also valuable – only mackerel and prawn fisheries are worth more to the UK. All this has led to battles between British and French ships over access to fishing grounds in the Bay of Seine off the coast of Normandy in northern France. The most recent conflict in the so-called “scallop wars” saw 40 small French boats try to chase off five larger British boats. Stones were thrown and boats collided, but there were no injuries or sinkings. Though what they were doing was totally legal in this case, the nomadic fleet of large British vessels doesn’t always help itself. Several high profile cases have found against them for fishing where they should not in UK and French waters, not keeping accurate records, landing bycatch species they don’t have quota for, or as in the case of Honeybourne III, which took a starring role in the recent altercation, landing undersize scallops. The UK’s scallop fishers have also not made many friends among lobster/crab fishermen. A minority of scallop boats spark annual protests by Yorkshire fishermen as they tow away any lobster and crab pots that lie in their path. The scallop wars have two underlying, root causes. The first is that there are two groups of fishermen, targeting the same species in the same area but under different rules. 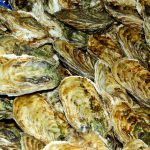 A local regulation prohibits French boats from targeting scallops in the Bay of Seine until October 1 each year. But this French regulation does not apply to British boats. In previous years the French fishermen have persuaded the larger UK boats to stay away until October by transferring extra European fishing allocation to them, so they can fish in other areas. This year, with Brexit looming, and after increased numbers of British boats fished the area in 2017, this “gentleman’s agreement” broke down. Now scallop stocks in the Bay of Seine are at near record levels, but vessels from other countries are catching them before the French are even allowed to go fishing themselves. In comparison, although there are now efforts to improve the sustainability of the scallop fishery around the UK, catch rates are declining, while the the number of scallop fishing boats has increased from 135 a decade ago to more than 200. The second root cause is that nomadic boats from the UK and other countries have no links to the local community that depends upon the scallops in the Bay of Seine. Small boats, such as the French use, have a limited range and depend entirely on what they can catch in the area. In such situations where there are extensive kin ties and shared communities, fishermen are much more likely to develop informal agreements with regard to who fishes where. Of course, such tensions work both ways. For many years the French trawled for sea bass in the English channel, disadvantaging UK fishers who were banned due to concerns they would catch too many dolphins by mistake. The French fishery was only stopped by the EU when sea bass stocks collapsed. Neither side has come out of this well. What the UK boats did by fishing in the Bay of Seine may have been legal, and the French response overly aggressive, but they would have known they were asking for trouble and their own retaliation was over the top – and possibly illegal. As Barry Deas, chair of the national representative body of fishermen pointed out, this is just a skirmish before the battle of Brexit. Ships from elsewhere in the EU take more fish from UK waters than the British fleet does and many in the fishing community would like to see reform that addresses what they see as an injustice. The problem is that most fish are not scallops, which rarely move, but instead undergo annual migrations across international boundaries. Therefore preventing fishing in one area may not necessarily reduce access to stocks. In the absence of robust international agreements that manage stocks rather than areas, and respect the fact that fish do not care about human boundaries, the North Sea could become the new Mediterranean, where poor regulation and disagreement between EU and non-EU states has resulted in a steady decline in stocks. On top of the regular movements of fish, the North Sea fisheries will be challenged by climate change induced movement of fish out of UK waters (something that is already evident with mackerel). In the face of Brexit we should be aiming to improve international relations, not damage them. Otherwise fish stocks and the wider marine environment are likely to suffer most – at which point everyone loses. This article was originally published as ‘Scallop wars’ between Britain and France are just a pre-Brexit skirmish, by Magnus Johnson and Bryce Stewart, at The Conversation on 04/09/18.